Capt. Eric Knott discusses the difference between boaters in the US & Europe at the Club’s February meeting. A commercial fisherman going to sea with his father, in 1973 Eric was awarded his Master’s Certificate of Competence in 1986 and sailed in that position out of northern European ports until 1994 when he joined a nautical training school as senior instructor and operating manager of 12 sea-going training vessels working throughout Europe. During this time, he consulted for law firms, the police and insurance companies, investigating maritime accidents in Europe and the US. In 2003 he moved to the USA and joined Landfall Navigation to run the developing Marine Training Center. He gained his US master’s license and now has the distinction of being licensed under both US and UK authorities. In 2006, he joined the safety department of Moran Towing and is responsible for safety audits and inspections of ship assist tugs. In his spare time, he fishes from his own boat, a 23′ Steigercraft Little Bear or with his grandson, Peter in his 13′ center console Reel Fun who, if asked why he pumps out after rain replies, “Bilge levels should be kept to a minimum.” Eric has been appointed by the Governor of Connecticut as Harbor Master for Stamford Harbor. So we have a very serious boater addressing a very fun topic! 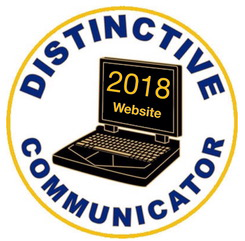 Once again, our squadron has combined with other neighboring squadrons to offer an impressive list of USPS education courses. 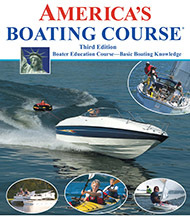 These included our advanced courses as well as the introductory ABC boating safety course. Click one of the links below to see the schedules. At the Squadron’s September meeting, special guest Carleen Lyden Walker will talk about the Commercial Maritime Industry and its effects on Global Society. All USPS and GBYC members and friends are invited to enjoy this fascinating subject – with our usual light refreshments. Carleen is the Co-Founder and Executive Director of NAMEPA (North American Marine Environment Protection Association) leveraging off her experience as a marketing and communications professional in the commercial maritime industry with over 40 years of experience. She specializes in identifying, developing and implementing strategic marketing and communications programs that increase the visibility and effectiveness of NAMEPA as well as the development of educational resources promoting marine environment protection. She works to develop strategic alliances between industry, regulators and environmental groups to “Save the Seas”. During her presentation, Carleen will present the value proposition of the commercial maritime industry, the operational and regulatory framework under which it operates, and the pathways for the public to engage with the industry in terms of education and jobs. 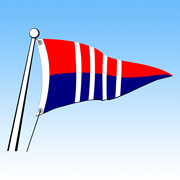 This past June, the US Power Squadrons® officially adopted the name America’s Boating Club™. To introduce the new name, USPS has produced a video entitled, “Introducing America’s Boating Club™”. Two versions of the video are available: The full version lasts 3.5 minutes, while a short one takes only 30 seconds. The purpose of the videos is to arouse awareness, interest, and desire in adopting the safe-boating lifestyle and taking action by joining USPS.